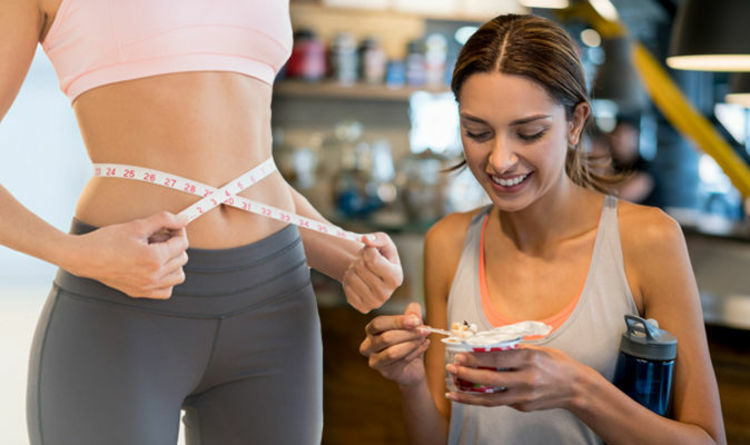 Weight loss can be a minefield, with so many different diet plans offering different rules and advice. One thing that many weight-loss plans insist is that snacking between meals is bad, adding unnecessary calories into the day and slowing down weight loss. Contrary to popular belief, there’s nothing wrong with having a snack, perhaps to keep you going till lunch or to get you through the afternoon slump. Talking to the Express.co.uk, top nutritionist Liam Mahoney from sports nutrition brand, Grenade, reveals how to snack smarter and lose weight while snacking. According to Liam, it’s incredibly common today to eat mindlessly – whilst talking with friends, in a hurry, in front of the television or sitting at our desks at work. However, being distracted whilst snacking is one of the worst things that can be done, as it makes the body unaware you are eating. It is a known fact that breakfast is the most important meal of the day, and studies have found that people who consume breakfast have a decreased risk of developing diabetes, lower incidence of heart disease, better memory and increased weight loss. Breakfast has been proven to contribute to weight loss because it keeps you fuller for longer and prevents the need to snack later on in the day. Protein bars as a snack in between meals can really help reduce how much you eat throughout the day. There are so many protein bars on the market, so it is important that you know which type to look for as there are big differences in nutritional content and number of calories between the wide arrays of bars that are available. Liam recommends trying Grenade’s Carb Killa range, which includes protein-packed bars. These offer an ideal chocolate bar alternative, at just 220 calories, Carb Killa bars are packed with 23g of protein and loaded with fibre and contain less than 1.5g of sugar. Knowing what you are eating is dependent on reading nutritional labels and recognising the ingredients. The more ingredients that are recognisable, the less likely it is that the product contains processed additives. The number of ingredients also acts as another indication as to how healthy this food is, the fewer the ingredients, the better it is. You should also look at the first two ingredients. Preparation is key, especially when it comes to snacking. If you know that you are going to be out for the whole day, pack some healthy snacks in your bag. The worst thing you can do is leave yourself feeling hungry when you are out and having to buy something from anywhere that is around. It is likely that all you will be able to find is loaded with sugar and added preservatives, a situation you do not want to be in when you are trying to make smarter choices. When it comes to snacking, portion control is key, as it is so easy to consume hundreds of calories without realising. Liam advises buying individual-sized snacks to keep portions in check. You could also measure out single servings of foods if you buy them in bulk, to ensure you do not end up eating the whole bag. Healthy food has gone high end, but is the lifestyle trend worth the cost?